What It Is: Think I’m attempting to derail your ‘I’m going to eat better’ New Year’s Resolution with today’s gift idea? Think again. Believe it or not, the scrumptious-looking treats you see above aren’t actually edible – but soap! Hailing from Toronto’s Baked Soap Co., this creative and almost mouthwatering lineup of soaps come in a range of dessert-themed scents and styles, from key lime cupcakes to blueberry bundt cakes to toasted marshmallow blocks of soap. It’s a cute way to treat someone that IS sticking to their NYE resolutions – look don’t eat! Who It’s For: Your hostess for a weekend ski trip getaway. Your mom, as a quirky item to put in her guest bathroom. Your best friend, as a reward for shedding those pounds so far. What It Costs: Most of the soaps are about $6-$7, some are less, some are more. The brand also sells bath bombs and lip glosses in the same price range. Shipping is about $10, but the shop owners advise you can pick up their product in Toronto and they’ll create custom listings to help keep the shipping costs down if you tell them what you want. Where It’s At: Baked Soap Co. is available on Etsy. BONUS ENTRY for all your filthy minds that are interested in my F**ktionary giveaway. Tell me in the comments below – what product from Baked Soap Co. are you interested in trying? Visit their Etsy shop to browse! I love the macaroons…just that little extra touch when presenting this lovely, thoughtful hostess gift! The vanilla lip balm and the chocolate mint bath bomb. This sounds great: Key Lime Pie Lip Balm but it all sounds great! I love key lime pie, so would choose the key lime pie soap. I would also like to try their lip balms! I’m a vanilla fan, so the Vanilla Lip Balm would suit me just fine. Key Lime lip balm sounds yummy. I like the key lime pie sugar scrub – thanks! I like the Key Lime Lip Balm. i’d like to try the Chocolate Orange Bath Bomb! cookies and cream cupcake soap for sure! 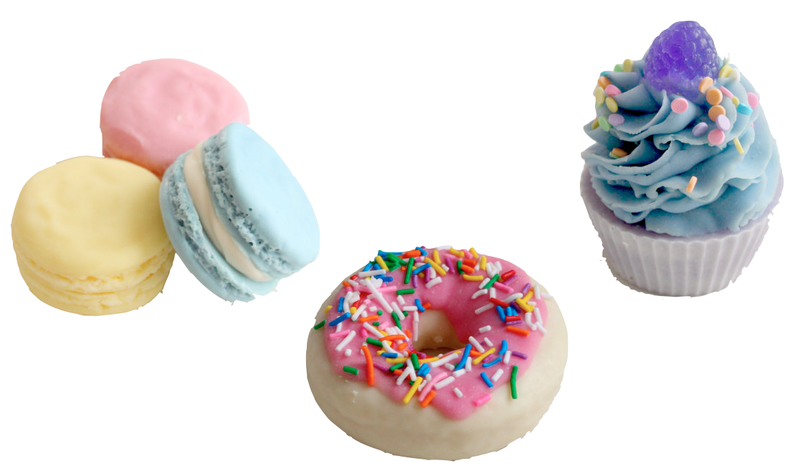 Love those little macaroon soaps! https://www.etsy.com/ca/listing/158024633/lemon-poppyseed-soap?ref=shop_home_active_23 Lemon Poppy Seed soap. I love the smell of lemons. I like the donut soap! I like the blue bundt cake soap https://www.etsy.com/ca/listing/185202386/blue-bundt-cake-soap?ref=shop_home_active_12 but they are all adorable! I want to try the Key Lime Cupcake Soap.